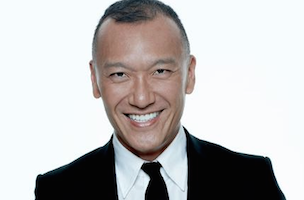 Joe Zee is leaving his post at Elle for Yahoo. WWD reports that “multiple sources” said Zee, who has been creative director at Elle since 2007, has accepted an offer from Yahoo to run a fashion site. If the rumor turns out to be true, it wouldn’t be surprising. Last week, Yahoo announced that it was shuttering its women’s site Shine so it could focus on launching several sites with specific focuses. Then, just two days ago, Bobbi Brown was hired to be editor of Yahoo Beauty. It seems Zee is next in line. Should Zee leave, Alex Gonzalez, currently Marie Claire’s artistic director and Town & Country’s design director, could be a possible successor. For more Zee, below is Mediabistro’s interview with him. In the segment, Zee explained how he broke into the fashion industry.